Born in Tottori Prefecture Japan. Graduated Tokyo National College of Fine Art, Division of Sculpture. Solo Exhibition at Athenes Français. Solo Exhibition at Sato Gallery, Tokyo. The 12th Contemporary Art Exhibition of Japan. Solo Exhibition at Sato Gallery. The 13th Contemporary Art Exhibition of Japan. Solo Exhibition at Gallery Yamaguchi, Tokyo. 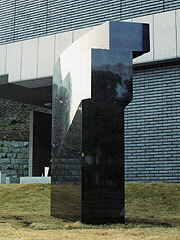 The 10th Exhibition of Contemporary Japanese Sculpture, Awarded Kobe Suma Detached Palace Garden Prize. The 15th International Art Exhibition of Japan. Solo Exhibition at Gallery Yamaguchi. 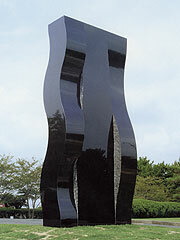 The 4th Henry Moore Grand Prize Exhibition, Awarded the Superior Prize. 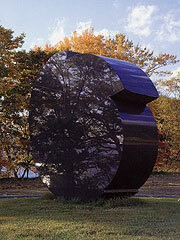 The 11th Exhibition of Contemporary Japanese Sculpture. The 5th Yasudakasai Art Fundation Encouragement Award Exhibition, Awarded Excellent Artist Prize. The 16th International Art Exhibition of Japan. 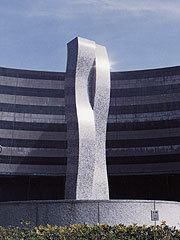 '86 Grand Sculpture Exhibition, 10th Asian Games Art Festival in Seoul. The 10th Contemporary Sculpture Exhibition at the Suma Detached Palace Garden, Awarded Teiichi Hijikata Memorial Prize. 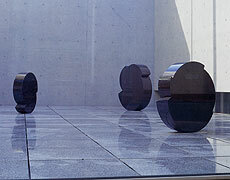 The 5th Henry Moore Grand Prize Exhibition, Awarded the Superior Prize. 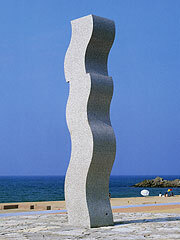 The 12th Exhibition of Contemporary Japanese Sculpture, Awarded The Museum of Modern Art, Kamakura Prize. Awarded the 15th Nagano Open-Air Sculpture Prize. The 11th Contemporary Sculpture Exhibition at the Suma Detached Palace Garden, Awarded the National Museum of Modern Art, Kyoto Prize. "Imagine '89" in Los Angels. The 13th Exhibition of Contemporary Japanese Sculpture, Awarded Ube Kosan Company Prize. The 12th Contemporary Sculpture Exhibition at the Suma Detached Palace Garden. Solo Exhibition at Contemporary Sculpture Center, Tokyo. The 10th Yasuda Kasai Art Foundation Encouragement Award Exhibition, Awarded Silver Prize. Participated at the 2nd International Stone Sculpture Symposium. 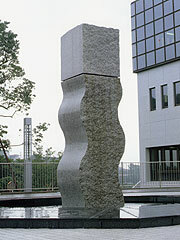 The 14th Exhibition of Contemporary Japanese Sculpture, Awarded the Narional Museum of Modern Art, Tokyo Prize, Awarded the Museum of Modern Art, Saitama Prize. 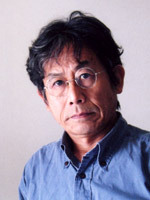 Awarded the 24th Nakahara Teijiro Excellence Prize. The Exhibition of Sculpture's Drawing at Asahikawa City Museum. Solo Exhibition at Gallery Seiho, Tokyo. Awarded the 5th Kurayoshi City Green Sculpture Prize. 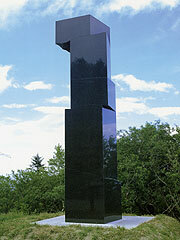 The 5th Exhibition of Green Sculpture Prize. Sculpture Exhibition at Galerie Vromans, Amesterdam, Holland. Solo Exhibition at Gallery Seiho. Solo Presentation at RAI Art Fair Amsterdam with Galerie Vromans. Participation RAI Art Fair Amsterdam with Galerie Vromans. Solo Exhibition at Galerie Vromans, Amesterdam, Holland. Chinese-Japanese Contemporary Art Exhibition, Shanghai Duoloun Museum of Modern Art. Participation RAI Art Fair Amsterdam. Exhibition "Meeting Point Japan" in Leenwarden, Holland. Exposition Galerie Moulin de l'eau, Bram, France. Convergence International Art Exhibition, Lalit Kala Akademi Gallery, India. Exhibition "Harmony of Plane and Solid - Tadaaki Okada & Hikaru Yumura" at DOKA Contemporary Arts. "in Depth of Crack - Takehiko Kikuchi & Hikaru Yumura" at DOKA Contemporary Arts. Solo exhibition "-Collage-" at DOKA Contemporary Arts. copyrights © Hikaru Yumura All Rights Reserved.